We are far too preoccupied with trivialities, especially those of us who live in a big city like New York. The nascent beginning of this project came about to help me process and learn to thrive amidst the hectic rush of NYC. The tasteless externals surrounding my own work life left no time for leisure, thought, or creation. I needed to emerge from my concrete existence and return to the earth. From 2007-2014 I moved at least three times each year. The idea of having a home, nonetheless a beautiful home, was elusive – something I felt like I never had and feared I never would. Eventually, I made the commitment to move back to NYC. I spent a year throwing myself into my work and was left completely exhausted. Although I had an apartment – I still did not feel at home in the city. When I began a new job (hello Oscar Insurance! ), I decided it was time for a change. Here, in NYC, we are concerned with becoming the best at what we do: excelling at the office, getting things done, developing our side projects, making sure we visit the right restaurants, seeing the best bands at even better venues, enjoying the trendiest galleries, having friends who are in the right scene, and traveling to exotic destinations. We forget that the most treasured parts of life are an alternate form of productivity or achievement – the kind of leisure Chesterton mentions that is fading away. I know if he were here today he wouldn’t mean binge-watching Netflix for an entire Saturday or trying to ‘keep up appearances’, but cultivating intentional, meaningful moments that paint life with joy. Living in the most dense city in America means that space is limited, therefore apartments are small. Here, life typically isn’t centered around the home. Signing sublease after sublease after sublease reinforces the effort of making each pit-stop a home. But home is not elusive. Where there is a creative will, there is a way. 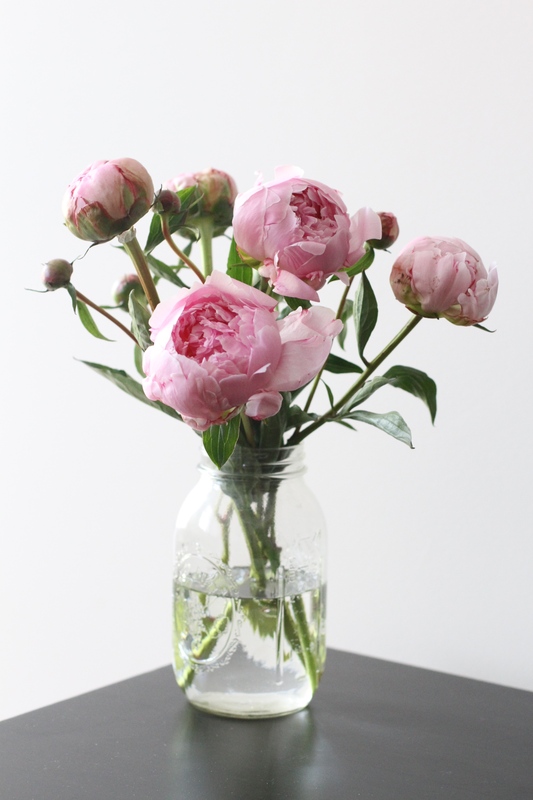 This is my attempt to walk through a full and leisurely life in NYC and cultivate the right things – friendship, beauty, gratitude, goodness, a lovely home – while taking precious time to enjoy them, like the bursting peonies from the Grand Army farmer’s market in the picture above. I’m glad you’ve decided to join me on this new adventure.